4.3" Xperia Honami mini with S800, 20MP camera incoming? The Sony Xperia Honami has leaked so many times that there's little doubt about its existence. Now, a new leak suggests that the upcoming flagship will follow in the footsteps of the Galaxy S4 and HTC One and have a mini version of its own. Unlike them, however, the Xperia Honami mini seems to just cut down on the screen size – 4.3" 720p Triluminos display – but keep the Snapdragon 800 chipset and 1/2.3" 20.7MP sensor with F/2.0 Sony G lens, the two things that made the Honami appealing in the first place. The battery will also be smaller – the rumor puts it at 2,400mAh (down from a rumored 3,000mAh for the big Honami) – but that's still quite a powerful juice pack (more than the S4 mini and One mini, actually more than the big One too). Other known specs for the Xperia Honami mini (curiously codenamed Ray 3) are 2GB of RAM and 16GB of expandable storage. The exact dimensions of the phone are not known, but it's good to see Sony thinking of smaller devices after the Xperia Z Ultra and the Honami (which will be about the same size as the Xperia Z). We only have rumors to go on at this point, plus the alleged render above. 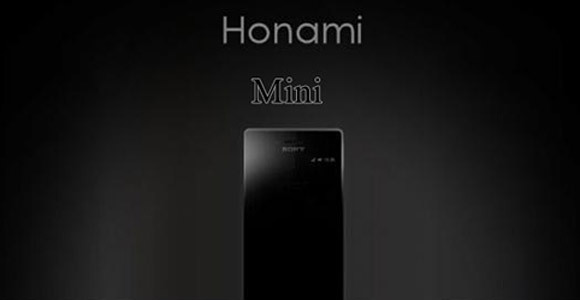 The Xperia Honami should be announced at the pre-IFA event in Berlin on September 4, maybe we'll see the real Honami mini then too. this is my nxt phone...720p..great display.